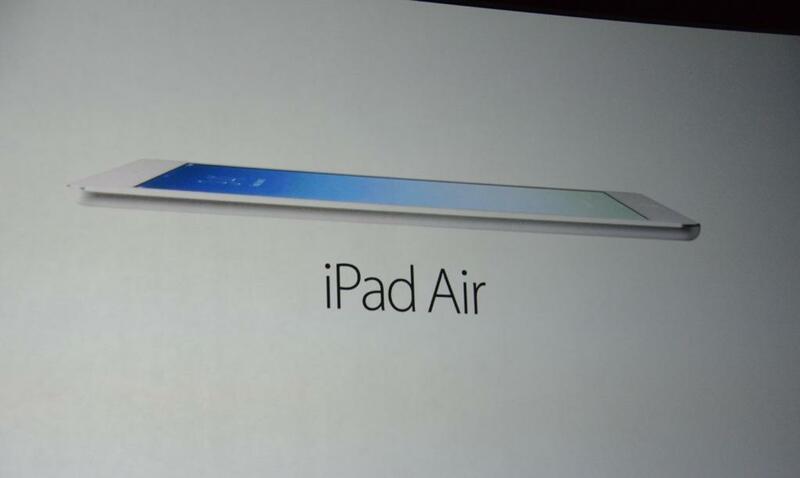 Apple today at its event announced the new iPad with the new name: the iPad Air. The tablet features 9.7-inch Retina display with a smaller bezel, and is 43 percent thinner. It is 7.5mm thin, 20 percent thinner than outgoing model while it weights 1 pound, down from 1.4 pounds. It further includes A7 chip inside and M7 motion co-processor. Over the performance, the iPad Air offers Up to 8x faster performance, 72x faster graphics performance and is faster WiFi with MIMO for 2x faster 802.11n. It includes 5 megapixel iSight, 1080p FaceTime camera, Dual mics and 10-hour battery life. It is available in silver and white, space gray and black while it replaces previous iPad, starts at $499 for $16GB, cellular for $629. The iPad 2 remains at just $399. The new iPad will ship in China to begin with for the first time.